Mood Swings is an unusual piece for this combination. Not technically demanding, the challenge is more in assimilating the jazz style and judging the pace of the performance. The speeds change throughout, building to a more energetic climax and there is a very short section for improvisation. The piano part is playable and the addition of a bass would add authenticity. A good concert piece without question. Liesa Norman, one half of the innovative duo Forbidden Flutes, wrote this jazz-inspired classical crossover work for their 2008 recording Take the L Train. Mood Swingin’ is a moving and listenable addition to any flute recital, with a flexible format which allows it to be played by two flutes with a full rhythm section or simply by two flutes and piano. As a result, it could be played anywhere from an intimate jazz club to a formal concert hall. Mood Swingin’ represents the composer’s own broad range of personal expressiveness. Like the ever-changing artists’ moods, this piece is at once sultry, syncopated, and synergetic. 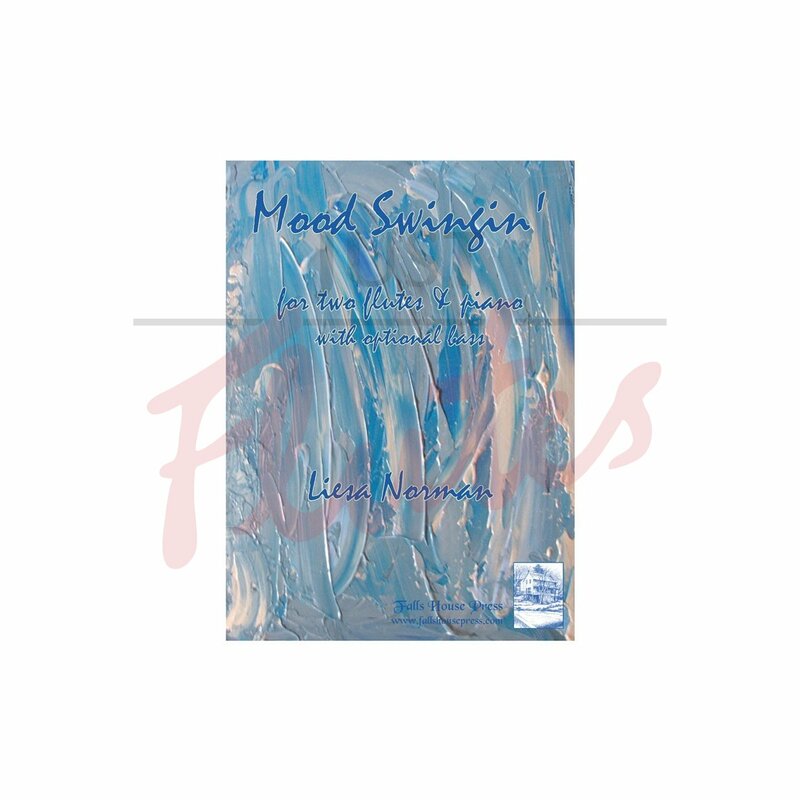 Mood Swingin’ also serves as an excellent teaching tool for both student and professional flutists who want to develop their improvisation skills and jazz sensibilities. For intermediate to advanced players.